Apple will launch macOS High Sierra, versioned as MacOS 10.13, later in the year. With a variety of new features and enhancements to the Mac operating system on the way, you’re likely wondering if your Mac or perhaps other Mac models will be supported by the latest operating system. The good news is that macOS High Sierra is a widely compatible system software update for Mac. In fact, if a Mac can run MacOS Sierra, then the same Mac can also run MacOS High Sierra. This includes just about any hardware released from 2010 onward, and a few models from the year prior as well. The High Sierra compatible Macs list below is courtesy of Apple via the WWDC High Sierra unveiling presentation. As always, the newer the Mac and the more powerful the hardware, the better the performance will be. 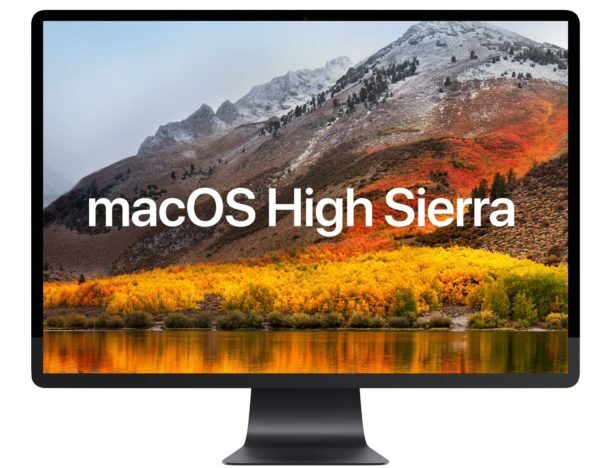 How Do I Know If My Mac Will Run macOS High Sierra? How to Tell What Model Your Mac Is? The simplest way to determine what model your Mac is can be accomplished via the Apple menu , then choose “About This Mac”, the Overview section will display what model year the Mac is. Simply compare that model year to the compatible Macs list that can run macOS High Sierra. This is the same list which is able to run the last prior major Mac OS system software release as well. 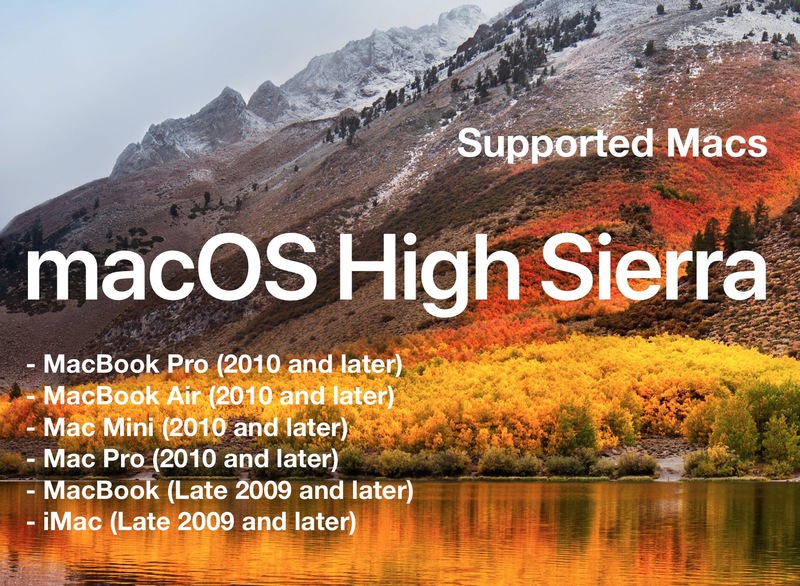 The system requirements are the same, and given that High Sierra looks to be a software update that adds and refines the prior system software release, it makes sense that they would be compatible with the same hardware. MacOS High Sierra will launch in the fall to the general public, while macOS 10.13 beta can be downloaded now for eligible users. For iPhone and iPad users interested in coming major software releases, check out the iOS 11 compatible devices list here. Glad to see my older 2010 Mac mini is still on the list…but couldn’t imagine running macOS 10.10+ on it without upgrading the RAM like I did. I have four Mac Minis, three 2012s and one 2010. Each of them has been upgraded to an SSD and 16 GB of RAM, 10.12.5 runs much better this way. It would be wise, though, to upgrade any old HDD to SSD in the older models. 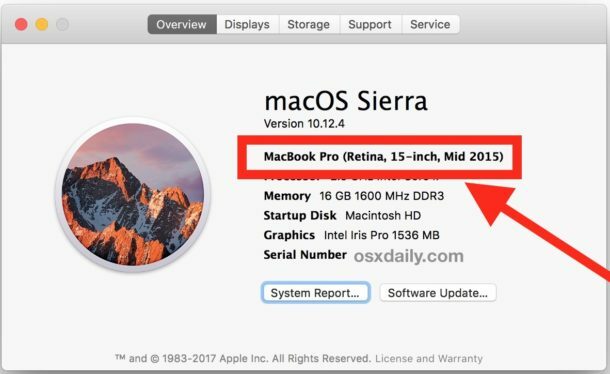 The developer beta of High Sierra can be installed on older Macs, but APFS is not supported, if you have an HDD instead of an SSD. This might be fixed in the final release, but it shows that you should probably stay away from 10.13 if you’re not willing to go SSD. I have a 2012 Mac Pro 3.2gHz quad core, a good amt of ram and a hard drive, so I would be out. I don’t think it’s worth upgrading to an ssd with a computer that old. I worry with these upgrades as I don’t know if my photoshop cs6, my scanner and hp printer will continue to work. I don’t need any more bells and whistles or power. I have a late 2009 and swopped my CD/DVD drive for a SSD so now have my operating system on the SSD and files and folders on the original hard drive that I kept in place. Believe me its worth the upgrade as my late 2009 iMac flies. Kevin, i have a late 2009 model as well. What are the steps in adding a SSD drive? Is it fairly straight forward? I’ve upgraded my early 2008 2.8 Ghz quad core Mac Pro to an SSD and maxed the RAM, and I find the performance improvement to be well worth it. I am aware that Apple OS support for this model ended at Mac OS X 10.11 El Capitan, but I have High Sierra running on mine right now and haven’t had any issues. This will probably be the last OS version I will be able to run before the hardware becomes too limited to run the next version. When this happens, I will probably repurpose this machine to general computing tasks (internet and such) and get something more powerful for advanced tasks. It’s an option in Disk Utility even on my 2010 MacBook, installed fine but booted and ran RIDICULOUSLY slowly. Reinstalled with HFS+ and everything’s about the same as Sierra. I would recommend any Mac user get as much RAM as they can afford and as fast and big of an SSD as they can afford. If you are upgrading anyway, make it worthwhile and your Mac will be faster as a result. Nope, I definitely feel that for general use additional ram may not be required with an SSD boot disk. Last year I upgraded both an E2009 and L2012 Mini with an SSD. I was amazed at the speed increase of both, particularly of the E2009 2GB Ram mini. The SSD effectively increases the ram very significantly. However if high resolution photo and video editing is a main task, yes add more ram. I run dreamweaver on an older version of OS X on an external hard drive that I boot using my MacBook Pro late 2011 running Sierra. But my website files are located on my MacBook pro’s SSD! Will that create a conflict or incompatibility because macOS will use a different file system? Really need to know before I install the new macOS…. I have reported a bug (to me major not so to others) how do I find out if my bug has been fixed without d/ling it. I am not anywhere near proficient enough to get into a beta. I just need to know if the mail.app bug is fixed. I have a late 2011 MBP with 8GB of RAM and it’s slow too. I’m glad that I can install 10.13 and might order an SSD if I do. I have exact MBP setup and is barely usable, with HighSierra 10.13.5. Don’t upgrade until you know SSD will solve all the problems. I think 4gb RAM is a problem also. I do one thing at a time and monitor my memory usage, and limp along. Don’t upgrade until you know your SSD is compatible. I have a MBP 2010 with a Crucial MX100 512GB SSD. I was running Sierra with trim enabled for since the release of Sierra. I’ve upgraded directly to High Sierra 10.13.5 and ran it for around half-a-day and then APFS just go corrupted… It all started with apps not opening and then it got completely corrupted. I don’t recommend High Sierra with 3rd party SSDs. High Sierra just ruined my confidence in macOS updates. It was just too bad to be true. Similar reports are all over the internet. The 2009 iMac supports 16 GB of RAM (4 total slots) and a a 3 GB/s SSD. I run 10.12.5 on one just fine. @james what is your current mac os? Is it worth it to upgrade on Sierra cause I’m still in mountain lion. I don’t understand why Fusion Drives are not supported when they just announced 27″ iMacs would come standard with them. So why release APFS if you can’t install High Sierra on them? I’m hoping that this will be fixed in upcoming beta’s because otherwise they are limiting to a very narrow audience who can upgrade and that goes for HDD as well. I totally second this! I’m still on Yosemite, and will not be upgrading until either Apple supports APFS on my Fusion drive, or the price of a 1TB SSD falls below $200. is my macbook pro 2011 is ok? Does it work for my macbook? Upgrade my MacBook Pro 2012 Mid. It has two slots with 1600Mhz 4 DDR3 in it. A total of 8 Gb. It has an duel-core i7 processor. 2.9 Ghz . ( Turbo boost up to 3.6 GHz.) with 4 MB L3 cache. Can I go to two 8 Gb , or two 16 Gb ? Or am I stuck with what I got? I like all the plugs on this model plus a DVD in it. Not a thing wrong with it. Got about 90% space. Want to put win 7 in. The 2012 MacBook Pro should allow 16GB RAM maximum, so that would be two 8GB chips. Upgrading the RAM on MacBook Pro can be done yourself with a little patience. For maximum performance on a Mac the two major upgrades are usually an ultrafast SSD drive and maximum RAM. My 2010 MacBook is upgraded with 8GB of RAM and a fast 256GB SSD drive and runs Sierra surprisingly well, so what the hell let’s max out the RAM to 16GB and install High Sierra. I’m really pleasantly surprised to have this option considering this MacBook shipped with 10.6 Snow Leopard and Apple’s propensity to cut vintage machines out of software upgrades. How was the performance after upgrade to High Sierra? i have the same spec with your MBP. MBP 2010, 4GB ram and 256GB SSD. Right now still running Yosemite. Want to upgrade, but dont know which version. How do I upgrade to Mac Os Sierra High. ?? Apple macOS High Sierra application compatibility chart? Same here. APFS doesn’t work on 2009 imac. Have to switch back to HFS+. The drive is not the original SATA. Upgraded to SSD long ago. I put a 1 terabyte SS drive in…. Would High Sierra be beneficial to me ? Am on OS X Yosemite 10.10.5 ? Could anyone tell me please ? I have the same machine. Your 17″ will only go to El Capitain (10.11). I’m finally breaking down and buying a new laptop. Loved my 17″!!! Can a Mac-computer with older MacOS, as Mavericks or El Capitan, open files made in High Sierra and APFS? I find it hard to believe. I visited an local print shop today and they couldn´t open an InDesign-file made in latest InDesgin and High Sierra APFS due to their computer only had some version of El Capitan. I just purchased a Canon PIXMA PRO-100 and I’m getting a pop up screen saying that Canon needs to update it’s software. I have High Sierra 10.13.5 and every printer I look at doesn’t seem to be compatible. Is there some way around this?